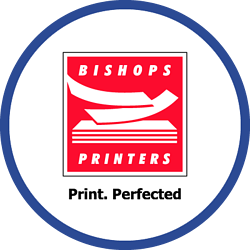 Founded in 1985, Bishops Printers of Portsmouth are one of the largest commercial printing firms in the South of England, working with a wide variety of clients in the UK from small local businesses to enterprises such as Arsenal & Chelsea football clubs, Specsavers, and the NHS. 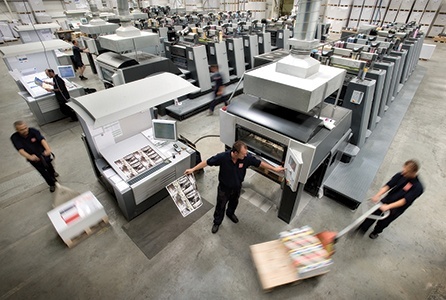 Bishops employ a team of van drivers who deliver printed items to clients around the country. These deliveries are often time sensitive and require multiple drop off points during the journey. At the time, Bishops had no automated solution in place to monitor these deliveries so regular calls were made to the drivers for updates on where they were. This process created problems for both the Customer Services and Sales teams, and was also becoming unmanageable as the client base continued to grow. Therefore, Bishops decided to investigate solutions that could improve visibility of these drivers in real-time and support the company’s service to customers. Bishops Printers implemented Crystal Ball’s smartphone app solutions - MobileTrack Pro, MobileLWP and MobileGeoTag. These solutions combine to provide a comprehensive workforce management tool that fits perfectly with Bishops’ requirements. MobileTrack Pro provides “real-time” visibility of drivers’ current locations on Crystal Ball’s detailed mapping, and the “nearest to postcode” functionality shows how far away drivers are from a delivery destination. The system also has geofences configured to send automatic notifications to Customer Services and the Sales teams when a driver enters or exits a client’s delivery address. MobileLWP provides welfare protection for drivers who deliver to remote addresses or outside normal business hours. This is possible through panic alarms which can be activated on the handset if the driver is in any danger, and an email notification (containing the driver’s current location) is sent immediately to the office and selected mobile phones to request assistance if necessary. Finally, MobileGeoTag was implemented as a form of “proof of delivery” using photographs and signatures captured on site. These are then geotagged by the app on the handset and the data is transmitted to the system. All three services utilised by Bishops report back on to one web-based platform. Bishops now have complete visibility of their delivery drivers in real-time and a clear understanding of where their drivers’ are and the distances left to travel to the delivery addresses. This provides both the customer and Bishops’ staff with a better insight into delivery ETAs, and significantly enhances the levels of service offered to customers. Bishops also use MobileTrack Pro to deal with administration of speeding fines and traffic offences more effectively. Prior to Crystal Ball, identifying the responsible driver was a difficult and time consuming process because drivers were not allocated to any specific vehicle. Now Bishops utilise Crystal Ball to ascertain who was driving what vehicle at the specific time of the offence. The recent addition of MobileGeotag also allows Bishops to issue proof of deliveries to clients using photos and signatures captured on-site. These details are contained on electronic delivery notes which can be emailed to customers the moment an item has been delivered, adding value to the services offered by Bishops and keeping staff informed of the final deliveries.